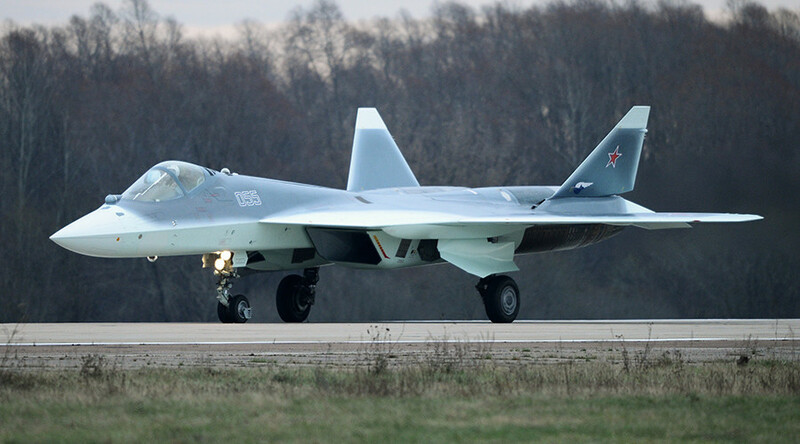 The Indian Air Force (IAF) and Russian aircraft manufacturer Sukhoi have agreed to develop an Indo-Russian fifth generation fighter aircraft (FGFA). Negotiators made a breakthrough last month deciding to lower investment cost to $4 billion for each country. The deal opens the prospect of producing 250 FGFAs to replace the multirole Sukhoi-30MKI fighter, according to the source in India’s Ministry of Defence as quoted by Business Standard. The 2008 deal is projected to cost each country $6 billion, adjusted for inflation. India’s state-owned Hindustan Aeronautics and Russia’s Sukhoi have agreed to cut costs by 40 percent to $4 billion each over seven years. The countries will invest $1 billion in the first year and another $500 million in each of the following six years. In the meantime, India is negotiating with France on buying 36 multirole Rafale fighters for a price yet to be negotiated. French President Francois Hollande arrives in Delhi on Monday to sort out the financial details. However, with the agreement reached between India and Russia and Rafale's projected astronomical cost, the spotlight could go back to the Indo-Russian fighter, according to spokesman from India’s Ministry of Defence.